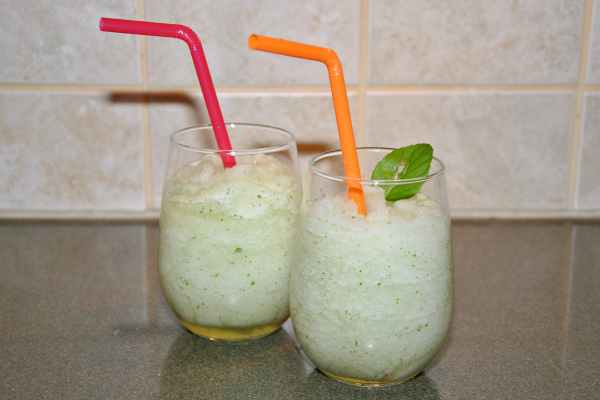 When I saw this Mint Ginger Slush recipe on Pinterest a few weeks ago I instantly thought of my mom. 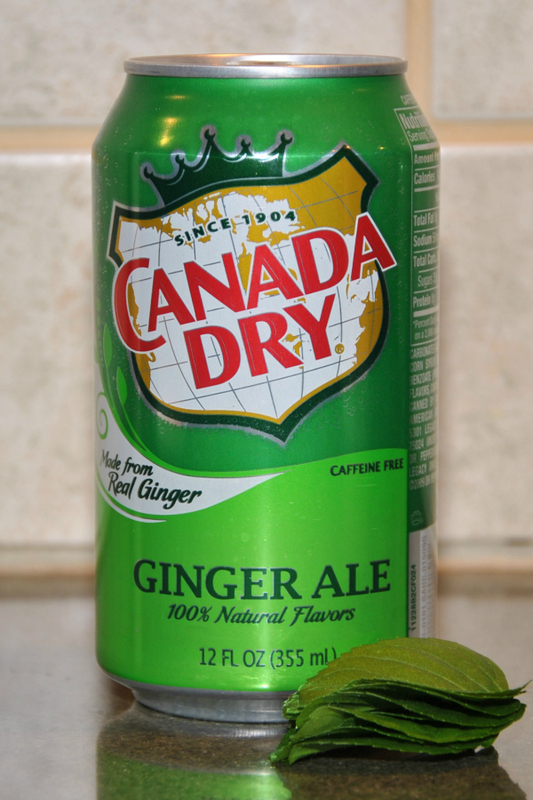 Knowing that my mom loves ginger ale and doesn't drink alcohol I thought this would make a great summer drink option for her. My mom must have little faith in me because when I told her I was making her a drink I got questioned numerously as to if it was alcoholic. It's like my mom thought I would try to get her drunk with out her knowing it. Okay maybe I thought about doing that once or twice, but I never acted on it! 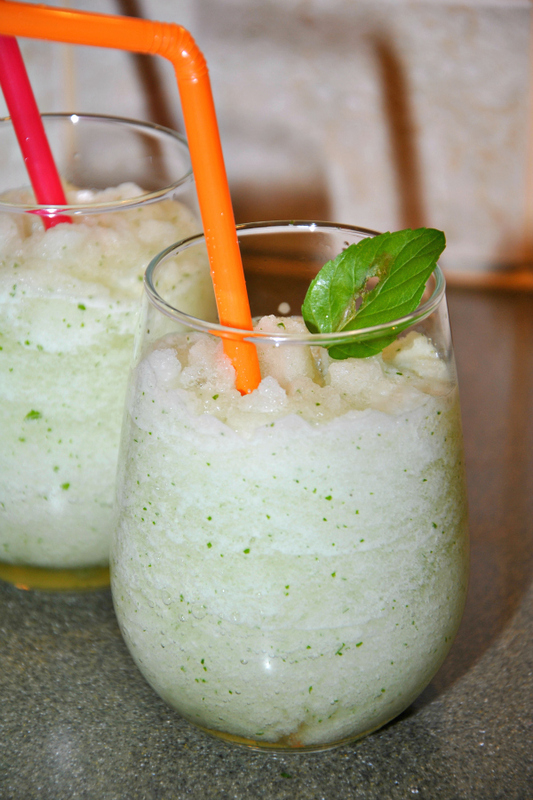 Voila a Mint Ginger Slush! This beverage is very refreshing and perfect for hot summer days. Unfortunately the mint in our garden is orange mint so it didn't taste as good as it should but next time I'll definitely be using regular mint leaves. My mom, surprisingly to her, liked it! Now that I know she likes it I'll have to slip some rum in next time!! Kidding! Seriously mom I'm kidding!! That sounds delicious! 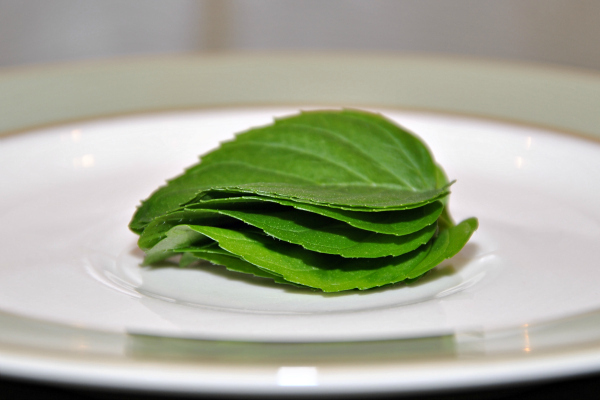 The combination of mint and ginger would be so refreshing. Looks so good! Love drinks with mint. Sounds amazing and refreshing!! Thanks for the recipe!